It’s here that we can separate those who understand what “sobriety” really means from those whose grasp of the concept isn’t complete. When a person gets to the point of really quitting alcohol and/or drugs, it’a always because things have spun out of control. Nobody quits drinking because it’s working out so well. At the point a person concludes that alcohol and/or drug use is the main reason for all the problems in his or her life, and then makes the decision to quit forever, he or she will start to undergo some very profound changes. Most of the time, people who quit will do some counseling and/or AA, and when they do, they’ll learn that sobriety requires a total commitment to complete abstinence. In fact, a lot of people don’t quite get this at first, and will, at some later point, slip up, meaning relapse. 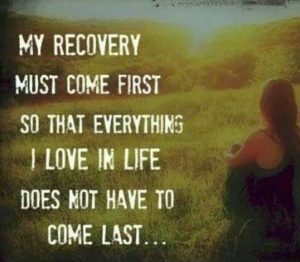 Whether a person accepts the need to live completely clean and sober early on or has to find out the hard way, real sobriety is built upon an unwavering belief and understanding that he or she can never drink or get high again. Ever. Many times, when someone contacts my office, whether by phone or email, they’ll make it a point to explain that they have been sober for X amount of time, or haven’t had a drink in X number of years. This is hugely important because it answers the very first question we’ll have for them if they don’t provide this information. I guarantee to win every case I take, but that’s because I do everything just right. Emailer: Hello, I lost my license after my last DUI in 2012. I have since moved to Arizona and can’t get a license here until I clear things up with Michigan. I haven’t had a drink since my last DUI and am interested in speaking with someone about starting the process. Thanks, Glenda. My Office: Hi Glenda. We can certainly help with that! If I take a case, I guarantee to win it! It’s always best if you call us when you have some time to talk. We’re really friendly people who will be glad to answer your questions and explain things. All of our consultations are confidential, and done over the phone, right when you call. You can reach us Monday through Friday, from 8:30 a.m. until 5:00 p.m. (EST), at 586-465-1980. I hope to hear from you, Jeff. Emailer: I am interested in getting my license back. I lost it back in 2009 after my last DUI and haven’t had it since then. I have some options for a new job but need to be able to drive to get there. Can you help? Dave. My Office: Hi Dave. If you qualify, I can get you back on the road, guaranteed. Let me ask you a question first; when was your last drink? Please let me know. Also, you can call in and speak with us. All of our consultations are confidential, and done over the phone, right when you give us a ring. You can reach us Monday through Friday, from 8:30 a.m. until 5:00 p.m. (EST), at 586-465-1980. I hope we can help you out, Jeff. The difference, of course, is that the first person (Glenda) addresses her sobriety, while the second person (Dave) does not. I need to know if Dave quit drinking. Often enough, people like Dave will respond that they don’t drink like they used to, or only drink once in a while. Even if it’s true, that’s not sober. Sobriety means that a person has quit drinking and intends to stay quit because he or she has made sweeping changes to his or her life. This typically includes having ditched the drinking friends, changing what they do for fun, who they do it with, and about a million other things that make life sober look very different from what it did back when alcohol was a part of things. ii. That the risk of the petitioner repeating his or her past abusive behavior is a low or minimal risk. iii. That the risk of the petitioner repeating the act of operating a motor vehicle while impaired by, or under the influence of, alcohol or controlled substances or a combination of alcohol and a controlled substance or repeating any other offense listed in section 303(1)(d), (e), or (f) or (2)(c), (d), (e), or (f) of the act is a low or minimal risk. iv. That the petitioner has the ability and motivation to drive safely and within the law. v. Other showings that are relevant to the issues identified in paragraphs (i) to (iv) of this subdivision. Before going too deep into this, let me point out that, yes, some of these “issues” are duplicative, if not redundant. As a working definition (and the one I rely upon in guaranteeing to win every case I take), it boils down to this: You must show that your alcohol problem is “under control,” meaning that you have been alcohol-free for a sufficient period of time (never less than a year, but often longer), and that your alcohol problem is “likely to remain under control,” meaning that you are a safe bet to NEVER drink again. The words I used above were carefully chosen because nothing else matters unless a person convinces the SOS that he or she has been living, and intends to keep living, an alcohol-free lifestyle. The idea that someone “kinda” gets this, but then tries to argue some exception, like he or she only has a glass of wine once in a while, at home, or only has a few sips for some special occasion, means that, without exception, that he or she doesn’t “get it” at all. Sobriety is based upon a firm commitment to never drink again, and that, in turn, is based upon an indisputable understanding that a person cannot ever drink again. A client of mine once pointed out that the moment anyone has to talk about trying to control, limit or manage his or her drinking, there is already a problem. Whatever else, normal drinkers don’t need to think that way. I could go on, but I think I’ve made my point on this subject, at least for a few weeks. The goal of a Michigan driver’s license restoration or clearance appeal is to show that a person has honestly quit drinking, and has the ability to remain sober for life. This is actually very simple, and only seems complicated when people try and find some exception to the absoluteness of total abstinence and never drinking again. For my part, I’m happy to discuss this even with someone who might not quite be there yet so that maybe, just maybe, I can help him or her tip the balance in favor of quitting drinking. Having a driver’s license is great, but for anyone who really gets sober and experiences how much better life becomes as a result, driving again is usually the last piece of the puzzle along the way of that journey. If you need to win back your driver’s license, or clear a Michigan hold on your driving record and are looking for a lawyer to help, be a good consumer and look and read around. When you’re ready, check around. All of my consultations are confidential and done over the phone, right when you call. We really are friendly people who will be glad to answer your questions and explain things. We can be reached Monday through Friday, from 8:30 a.m. until 5:00 p.m. (EST) at 586-465-1980.